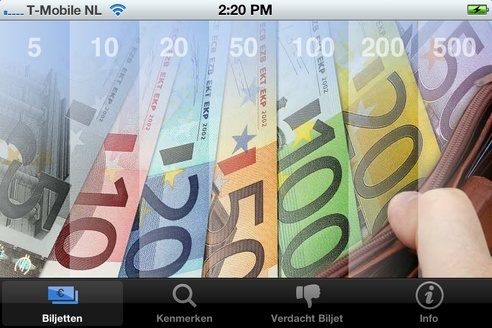 De Nederlandsche Bank, or Dutch National Bank (DNB) introduced a new app that helps users to see and experience the security features of a banknote. The features are illustrated by looking, tilting, and touching. Also, the app explains what to do when you may have a counterfeit in your possession. The app has been developed for both iOS (Apple) and Android. Usually, developing for both platforms means doubling the effort. In this case we managed to work from one code base with minimal differences between both versions, thus easily coming in under time.